Plan a Christmas to remember. Whistler events, activities & deals. December 19, 2014 – January 4, 2015 (Closed December 25 & 31) Hosted in the Whistler Conference Centre from December 19 to January 4 from 10:00 am to 6:00 pm, this FREE family fun zone is unparalleled for indoor entertainment and festive activities! Enjoy mini-golf, bouncy castles and video games for the whole family to experience. Monday and Wednesdays, December 22, 2014 – March 2015 | 4:30 – 6:30 PM | Whistler Olympic Plaza Bring your family and friends for free outdoor Canadian winter fun at Whistler Olympic Plaza, with different activities and local entertainment every week. Family Après is weather dependent so please check in with the Village Hosts on the day to confirm if the event is going ahead. Please note Family Après wil not run on New Year’s Eve, December 31 as the rink is open to ticket holders for the New Year’s Celebration only. Date TBD | Whistler Olympic Plaza Join Santa on the ice at Whistler Olympic Plaza. Santa will be handing out candy canes and will be available for photo opportunities. Hours of operation for free public skating are 11am – 9pm daily with exceptions on holidays. Skate rentals are available for $5.00 from 11am – 2 pm and in the evenings from 6pm – 9pm. Multiple dates in December, January, March and April | 5:30 – 9:00 PM | Blackcomb Kids, Blackcomb Mountain Base II An evening of non ski-based entertainment for the kids, including an activity, dinner, drinks and snacks. Kids should be dressed for outdoor winter fun, because activities include tubing, ice skating and cross country skiing (activities depend on weather conditions). Cost is $59.00 per child, for children age 5-12. FIRE AND ICE SHOW – FREE! December 24, 6:30 – 7:30 PM The 30th annual Christmas Eve Carol Service takes place at 6:30 pm in Whistler village at the Westin Resort and Spa. Hosted by the Whistler Children’s Chorus, this interdenominational celebration features traditional carols, choral music sung by the choirs and readings. Come and enjoy the sense of community and ‘peace and goodwill toward all’ that this carol service creates. this event is by donation. All proceeds go towards continuing to be able to provide this community service. Get Up and Stay Up – get up the mountains early and enjoy the great morning conditions. Fresh Tracks – Breakfast at the top and fresh runs – go to Whistler Gondola at 7:15am. Eat Smart – Enjoy lunch before 12 or after 1 to avoid the crowds and don’t forget the mountain huts on Blackcomb (Crystal and Horstman) or Whistler (Ravens Nest, and Chic Pea). Free Mountain Tours – Get to know new areas – Daily at 11am on both mountains. Magic Castle (Blackcomb) and Treefort (Whistler) – Kids will love it. Coca Cola Tube Park – great evening activity (open until 8:00 nightly). Take a Lesson – Nice way to get in on local secret spots and cut the line-ups. Ski the Great Beyond – branch out and check out the far away spots on the mountain: Crystal Chair, Blackcomb Glacier, Garbanzo Zone, Peak to Creek Zone and the new Symphony Amphitheatre. You’ll be sure to find your own piece of Whistler. Whistler Blackcomb Snowphone: 604 932-4211. Let someone else do the cooking this holiday! Westin Whistler – The Grill and Vine is offering a 3-course Christmas Eve Dinner for $69 per adult and $35 per child. 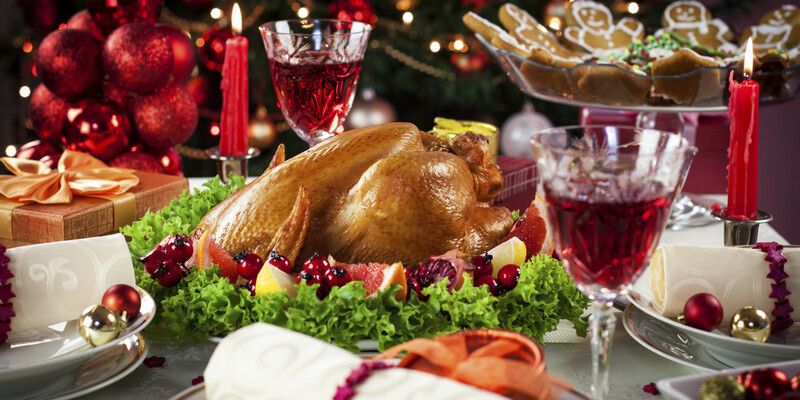 Fairmont Chateau Whistler – Enjoy a family Christmas Eve Dinner at the Wildflower ($89 Adults, $45 kids 6-12yrs). And on Christmas day, why not try the Family Dinner and Dance in the Macdonald Ballroom at the Fairmont from 6-9:00pm with the Tony Barton Orchestra ($169 Adults, $79 kids 6-12yrs) Reserve your Whistler Christmas Dinner at one of over 90 restaurants Whistler Resort has to offer. 70+ Whistler vacation rentals by owner. Scam-free VRBO private rental homes. Search for Christmas rentals here.